In a book full of directly applicable lessons for policymakers, Haley J. Swedlund explores why foreign aid is delivered in different ways at different times, and why various approaches prove to be politically unsustainable. 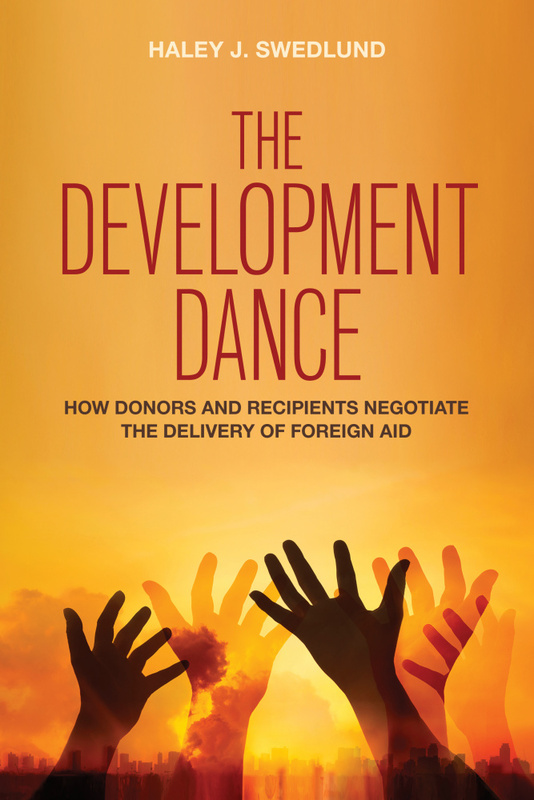 She finds that no aid-delivery mechanism has yet resolved commitment problems in the donor-recipient relationship; bargaining compromises break down and have to be renegotiated; frustration grows; new ways of delivering aid gain traction over existing practices; and the dance resumes. Swedlund draws on hundreds of interviews with key decision makers representing both donor agencies and recipient governments, policy and archival documents in Ghana, Rwanda, Tanzania, and Uganda, and an original survey of top-level donor officials working across twenty countries in Sub-Saharan Africa. This wealth of data informs Swedlund’s analysis of fads and fashions in the delivery of foreign aid and the interaction between effectiveness and aid delivery. The central message of The Development Dance is that if we want to know whether an aid delivery mechanism is likely to be sustained over the long term, we need to look at whether it induces credible commitments from both donor agencies and recipient governments over the long term. Full review by Dan Honig in Perspectives on Politics available here: http://bit.ly/2FOgs30. Funding for the book was largely provided by an individual grant from the Research Executive Agency of the European Commission (CIG #322228).